Yes, that’s right, I’ve given my bread a middle name. Garbanzo has a nice ring to it, no? Plus I’m quite sure there’s a celebrity child out there whose actual name is Garbanzo. Point being: ladies and gents, this “bananer” bread is ridiculously delicious. This sure ain’t your standard banana bread, laden with sugar, eggs and butter. Oh no it isn’t. So, as you can all relate, I had about 10 overly ripe bananas sitting on my counter, staring me right in the eyeballs (staring contest?) and urging me to convert them into a tasty dessert. I tend to pretty much follow the banana edibility guide above. 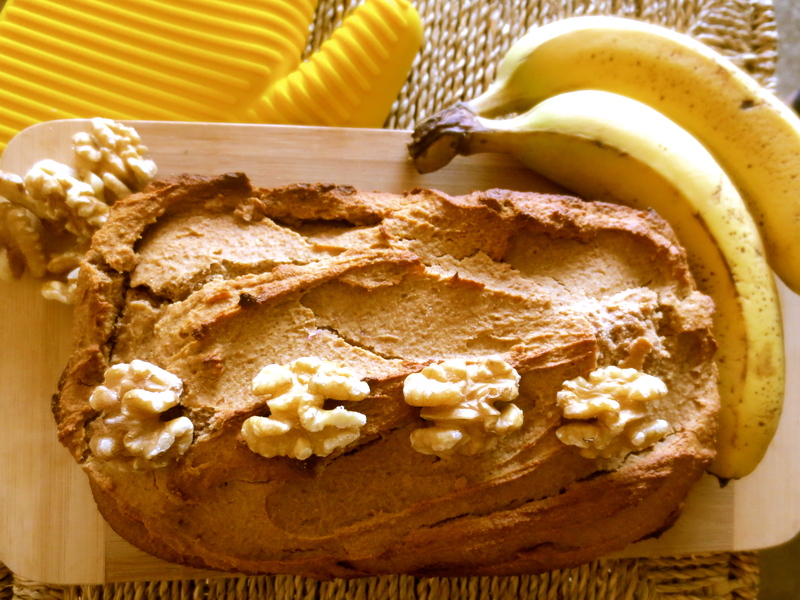 I pondered the many delectable transformations these well-intentioned bananas could take on, then decided to make a classic and childhood fave I hadn’t had in forever: home-made banana and walnut bread. 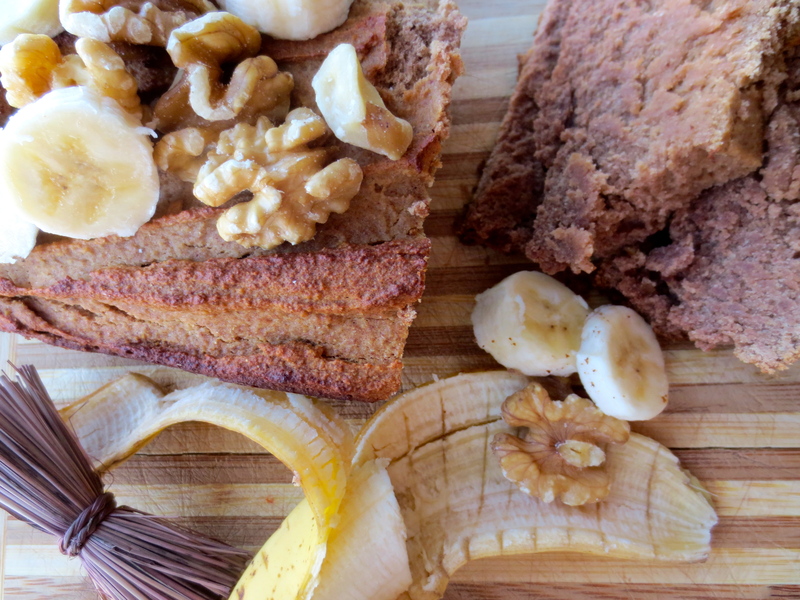 Vegan and gluten-free warm and gooey banana bread – coming right up! Place all ingredients (minus the walnuts) in a food processor. Blend. Add in walnuts and stir. 2. Combine all dry ingredients (garbanzo flour, cinnamon, salt and baking soda) in a bowl. Combine other ingredients (dates, non-dairy milk and vanilla extract) in a small bowl and blend using a hand-held blender. In another bowl, mash the bananas with a potato masher or a fork. Add the banana mix and the date/vanilla mix to the dry ingredients and stir well. 3. Lightly grease a 4 by 8 loaf pan with the vegetable oil of your choice. Pour loaf mixture into this pan. 4. Bake for about an hour or until a knife inserted into the center of the loaf comes out clean as can be. 5. Appreciate the banana and cinnamon smells wafting through your kitchen. 6. Cool on a rack before slicing and serving. 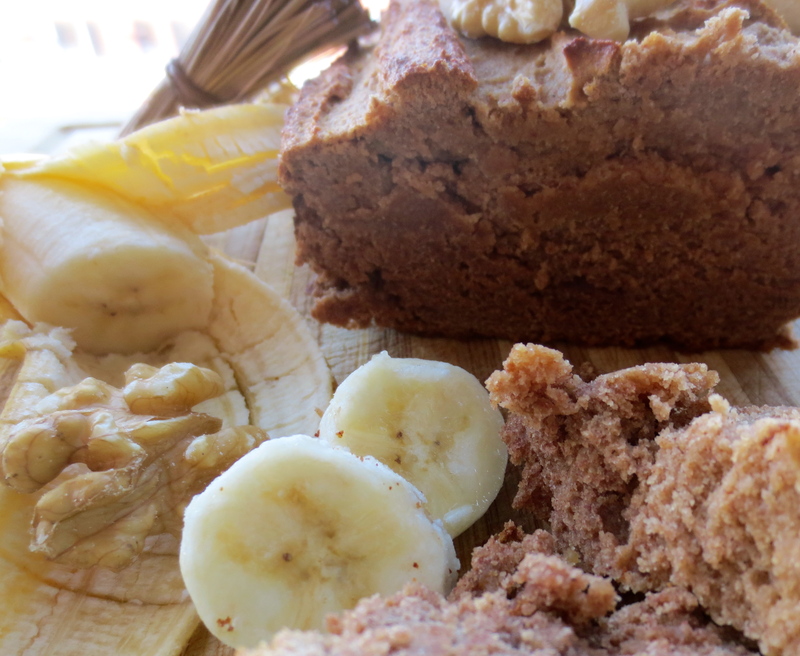 This banana bread isn’t as sweet as some of its competitors out there. If you want a sweeter loaf, try adding 1/2 cup of honey or maple syrup to the batter. I prefer it less sweet, but like using it as a vehicle for my favourite nut butters and jams. Needless to say, this loaf is food perfection!